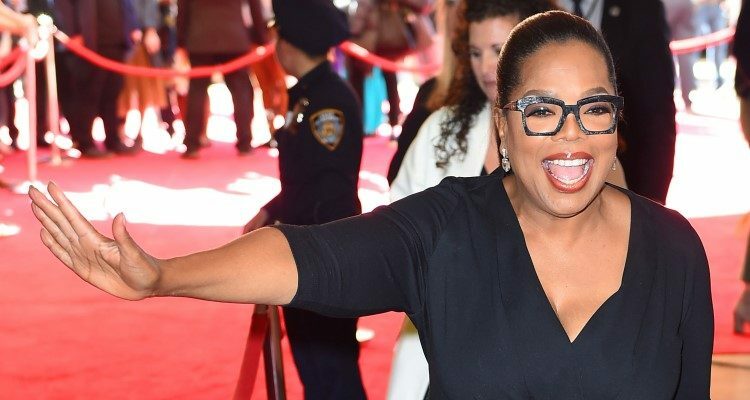 For years, Oprah Winfrey has publicly struggled with her weight. There are times when she’s made great progress, and times when she’s fallen off the diet wagon. It’s understandable—the queen of daytime TV is only human, after all. But lately, she’s made some great progress, losing 26 pounds and gracing the cover of O Magazine. And she wasn’t alone—she shares the cover with nine other women, all readers of the magazine, and all of whom are making progress in their own weight loss programs; essentially, sharing the journey with Winfrey. So how did she do it? Well, by now you’ve surely seen her commercials for Weight Watchers. As of October 2015, Winfrey owns part of Weight Watchers and is the new face of the brand, and she lost the weight through her participation in the program. And the benefits have also been financial—Weight Watchers’ stock went way up after she announced this current weight loss. Part of her success involves making substitutions for favorite, less-healthy foods. For example, she flavors water with vanilla and ginger, which essentially tricks her brain into drinking more of it. More water is always a good thing, especially in place of calorie-laden or sugary drinks. She’s also never hidden her love of potatoes, especially chips, but to avoid eating them, she makes mashed cauliflower instead. She also eats a lot of fish, which makes for good, lean protein and omega-3 fatty acids. Lastly, she says spaghetti squash can taste like actual spaghetti; the jury may be out on that one, though. Why Did Oprah’s Weight Fluctuate? Life has a way of interfering with your goals, and your weight is often the first thing to fall victim to this unpredictability. Winfrey hasn’t shied away from speaking about her yo-yoing weight. Sometimes emotional eating is what caused the weight to return. Sometimes it’s the result of stopping a diet and not making healthier eating a lifestyle change; and as many of us have seen, once you go back to your regular eating, the pounds come back. And sometimes you can’t help gaining or losing weight because of medical issues, and she’s grappled with those, too. How Did Oprah Balance Her Cravings? A large part of dieting is about managing cravings, and Winfrey is no exception; she often handles the craving by thinking of balance. That is, if she has, say, a spoonful of something she shouldn’t, she’ll remember to adjust her caloric intake the next day, to make up for it. Or she’ll adjust her exercise regimen instead by, for example, adding more cardio time. The thing is, when you’re dieting, you need to allow yourself to cheat, at least just a little. A balanced diet and portion control are both parts of keeping it in check: don’t have an entire chocolate bar; have a square. Don’t eat five cookies; have one. (And don’t do this all the time, either.) Alternatively, you can have an entire cheat day where the gloves are off and you can do what you want. Either way, you’ll keep your cravings in check and can stick to the plan the rest of the time. The best part? Winfrey says that this time around, the weight loss has felt effortless. That’s a huge boon to Weight Watchers and anyone on that diet plan. If Oprah Winfrey can do it, so can you! Cueto, J., “Weight Loss in 2016: Diet Secrets from Oprah Winfrey, Adele, Lauren Goodger, Melissa McCarthy,” Christian Post web site, June 8, 2016; http://www.christianpost.com/news/weight-loss-in-2016-diet-secrets-from-oprah-winfrey-adele-lauren-goodger-melissa-mccarthy-164951/, last accessed June 20, 2016. Hines, R., “Oprah Unveils Her Weight-Loss Transformation, Talks ‘Best Body’ in O,” The Today Show web site, March 11, 2016; http://www.today.com/health/oprah-unveils-her-weight-loss-transformation-talks-best-body-o-t79376 , last accessed June 20, 2016. Real, E., “Oprah Winfrey Reveals She Cheats on Her Weight Watchers Diet,” Us magazine web site, May 19, 2016; http://www.usmagazine.com/celebrity-body/news/oprah-winfrey-reveals-she-cheats-on-her-weight-watchers-diet-w207127, last accessed June 20, 2016. Greene, B., “Oprah’s Weight Loss Confession,” Oprah web site, January 5, 2009; http://www.oprah.com/health/Oprahs-Weight-Loss-Confession, last accessed June 20, 2016.